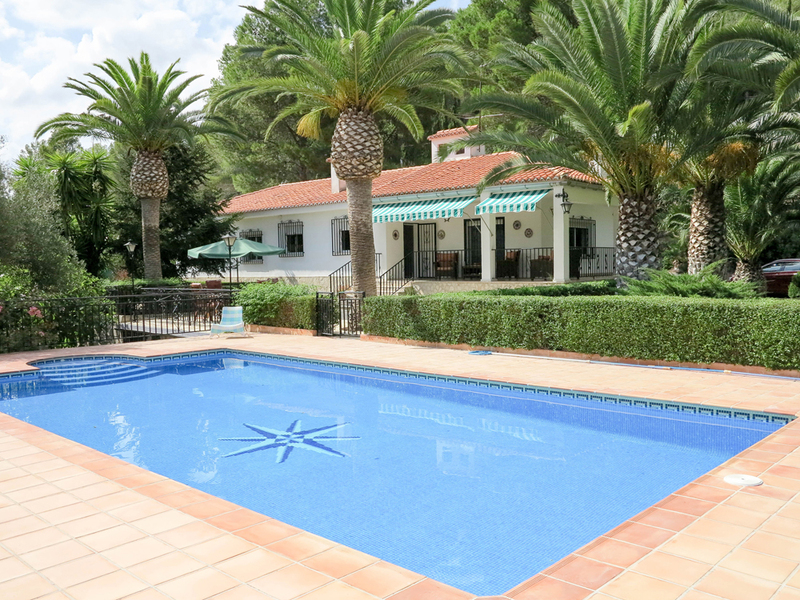 We are proud to present one of our luxury villas for sale Valencia, near Xativa situated in a desirable area of Bixquert, just under 3km from the city centre of Xativa. 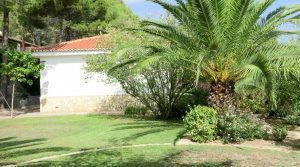 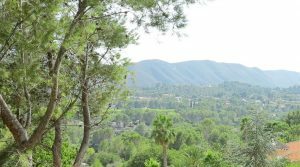 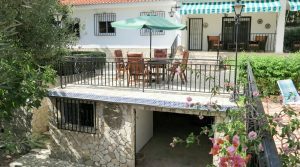 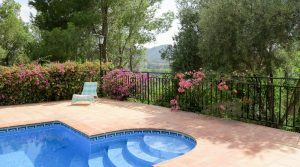 This property is located in a small residential area shared with other villas and enjoying some of the best views in the area. 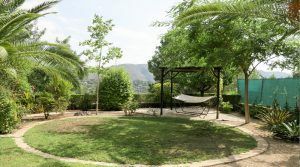 The villa has panoramic views across the countryside and of the rolling hills through the valley. 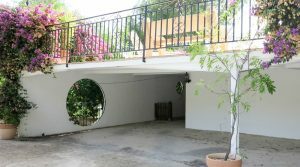 The property is private and not overlooked and it has electronic/remote controlled gates at the main entrance which leads to a carport with space to park three cars and a long open garage tunnel, where you could easily fit two more cars if required. 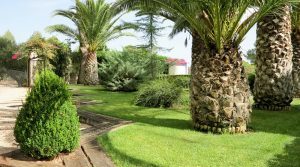 The property has another double gated entrance on the top terrace also which leads directly to the front of the villa amid beautifully landscaped gardens and a palm tree lined driveway and lawned gardens. 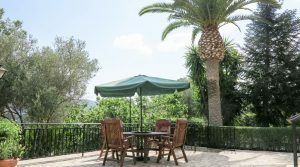 At the front and to the side of the villa you have large covered terrace overlooking the 10m x 5m swimming pool and terrace with those wonderful views as a backdrop. 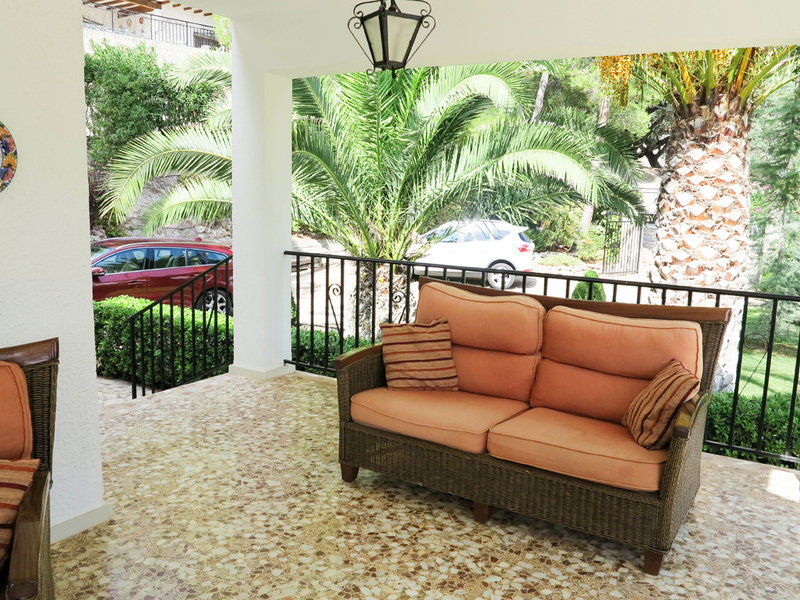 This large terrace has ample space where you can enjoy a meal or just sit and relax with awnings that can extend out so as to give you more shade from the hot sun if desired. 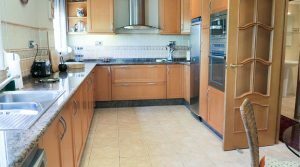 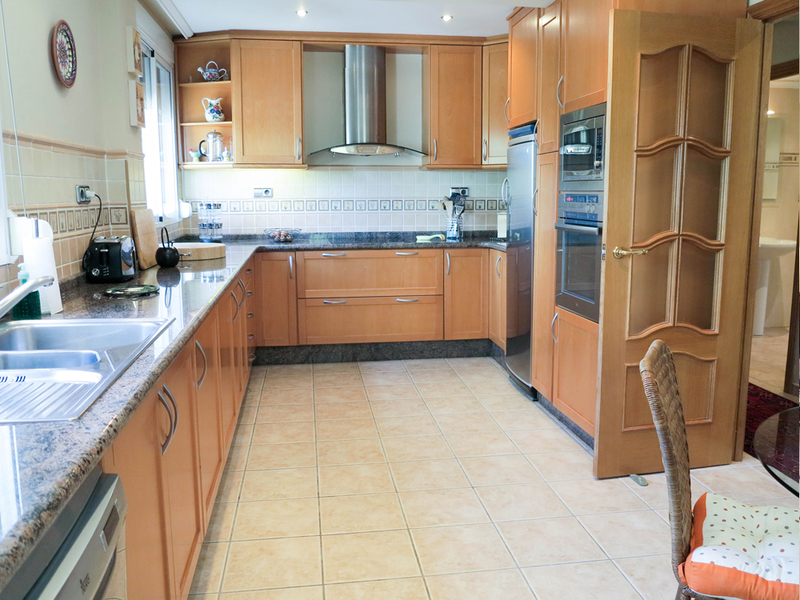 Inside the villa you have a well appointed and spacious kitchen, with all modern electro-domestic appliances and granite work surfaces complete with a dining area. 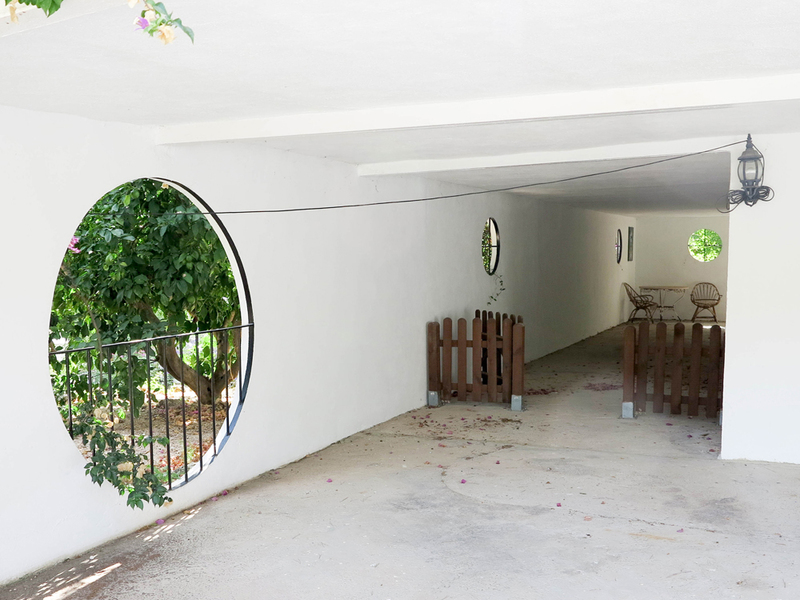 The villa has a central hallway that distributes to all of the rooms. 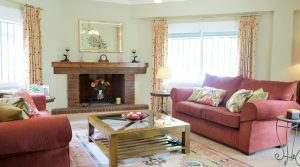 You have the lounge/dining room on one side of the property complete with a chimney fireplace and with patio doors taking you out on to the front terrace. 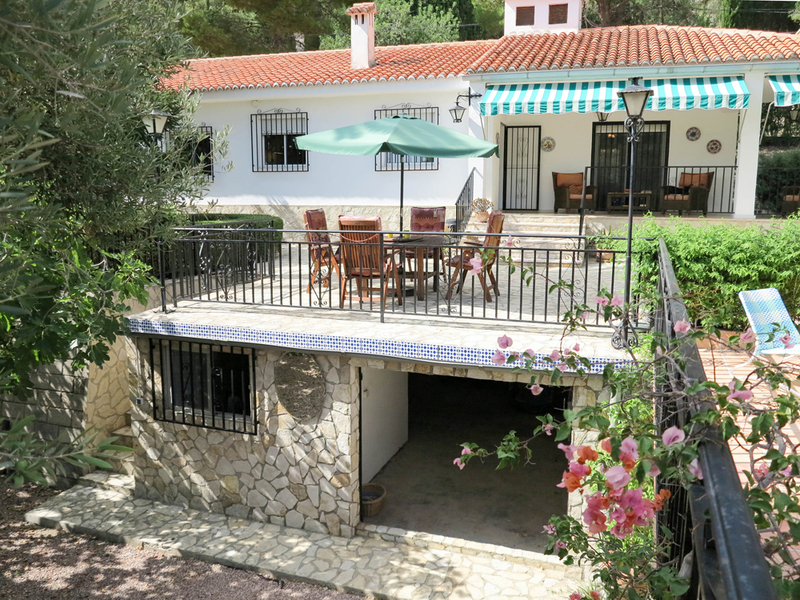 The entire property has double glazed windows complete with persianas (blinds) incorporated and fly nets. 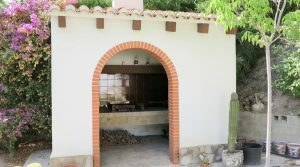 There is a centrally installed ducted climate control hot/cold air conditioning system serving every room in the villa. 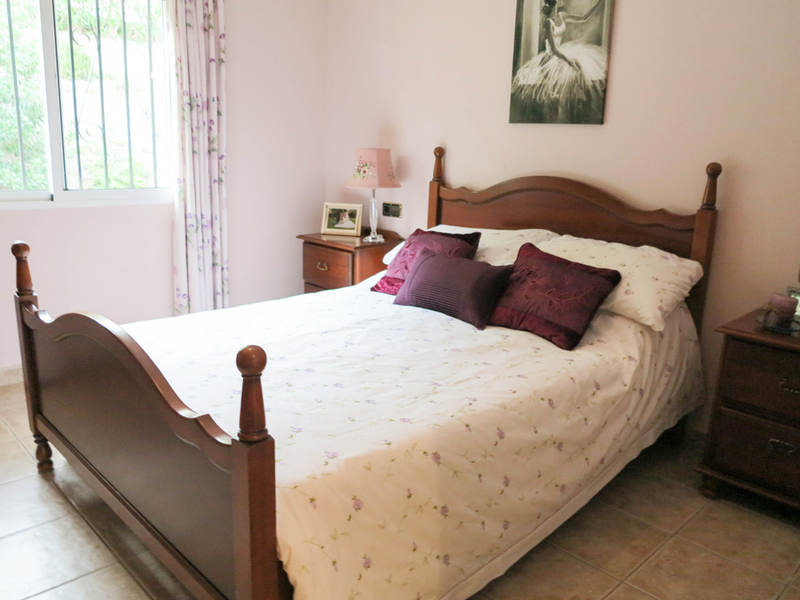 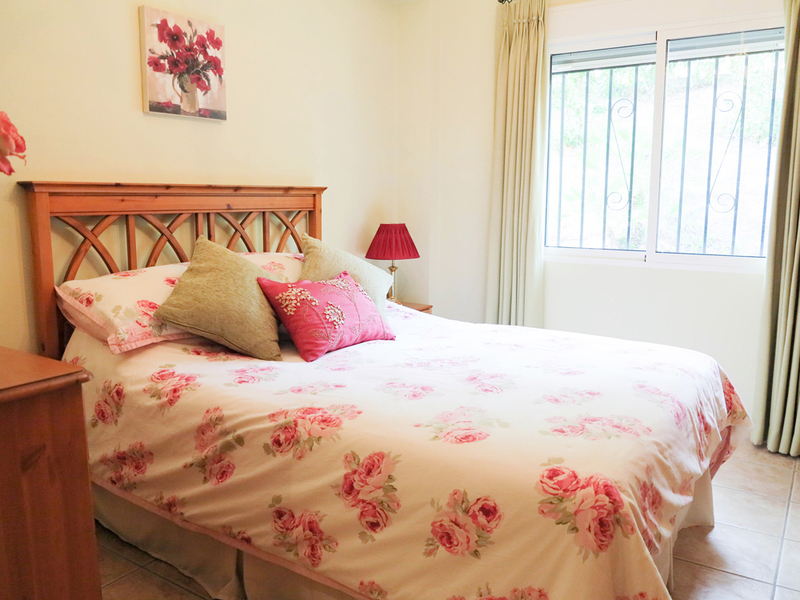 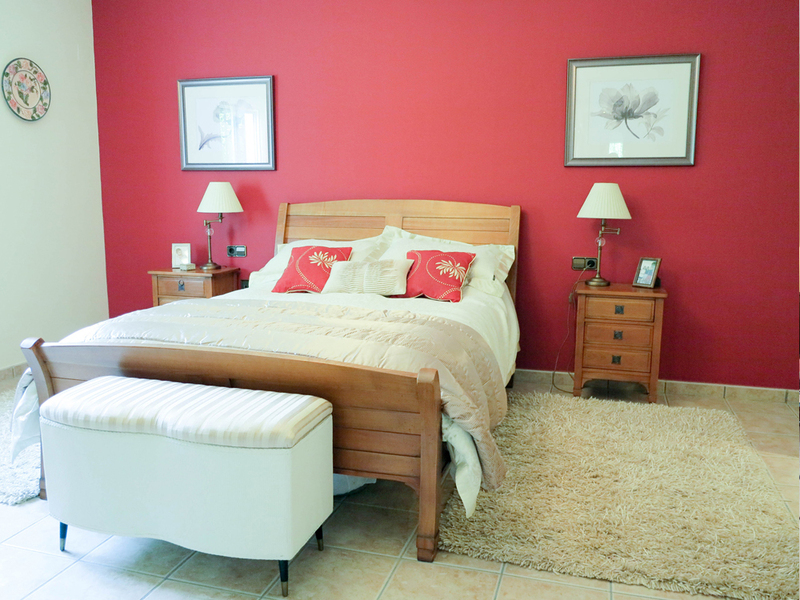 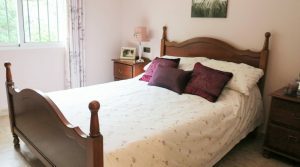 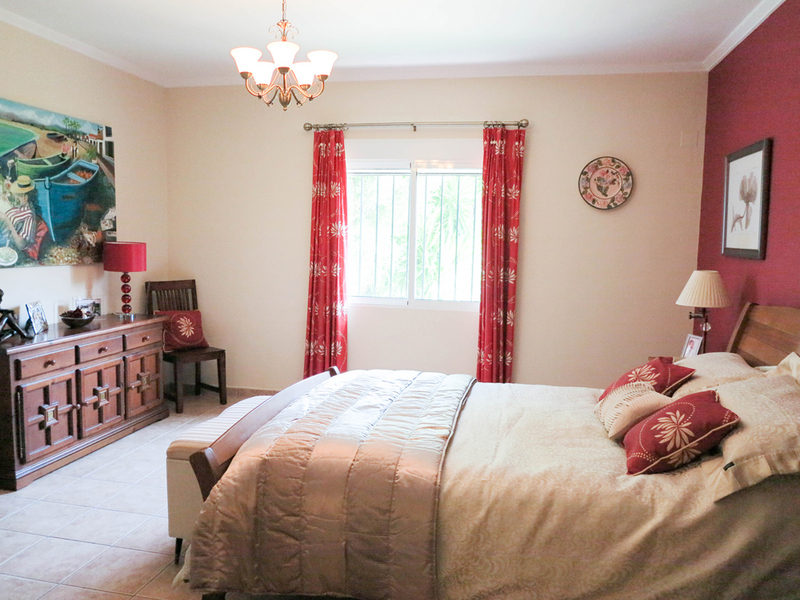 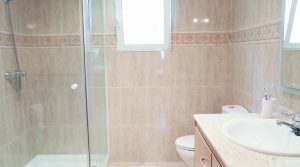 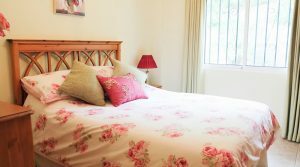 You have three guest bedrooms with fitted wardrobes and a family bathroom. 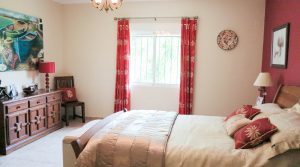 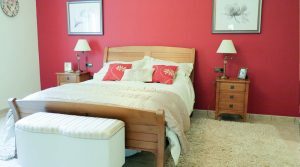 Then you have the master bedroom which has its own en-suite bathroom with a marble vanity unit and a separate walk-in wardrobe all in this main bedroom. 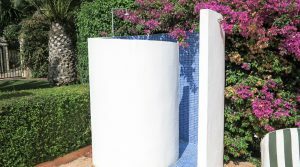 The swimming pool is south facing and it has a lovely terrace surrounding it which is child friendly together with a pool side shower. 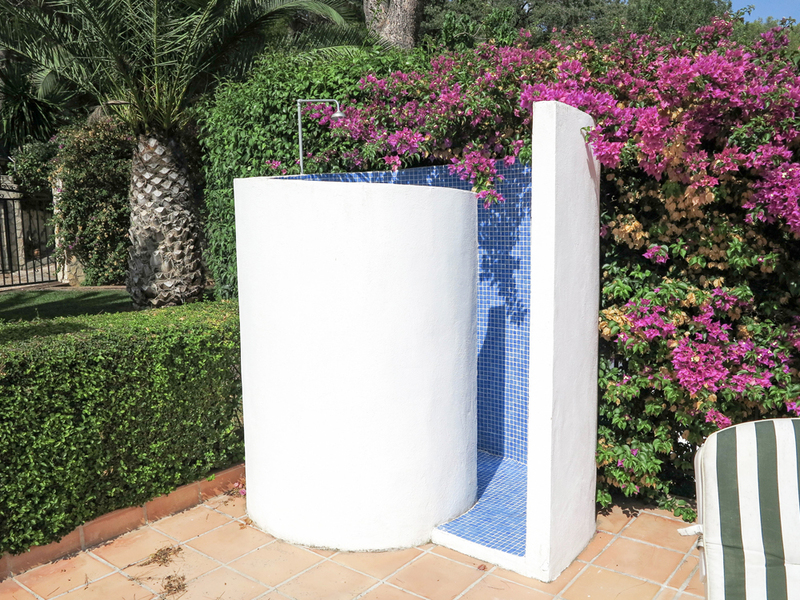 The swimming pool has a new filtration system fitted this year and this is kept in the pool room which is located underneath the pool terrace. 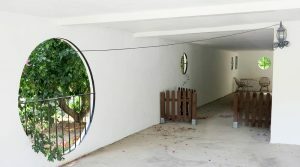 Also in this lower area as the under-build to the terraces and gardens there is a large store room which has a separate utility room within it. 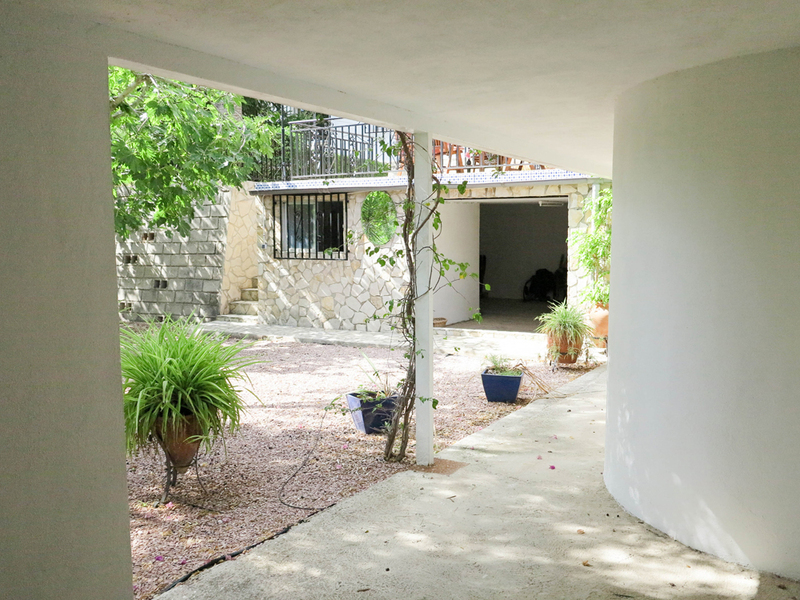 This large store room could easily be covered in to making as a guest apartment, it has a good area within the gardens with a small courtyard in front of it and boarded by trees. 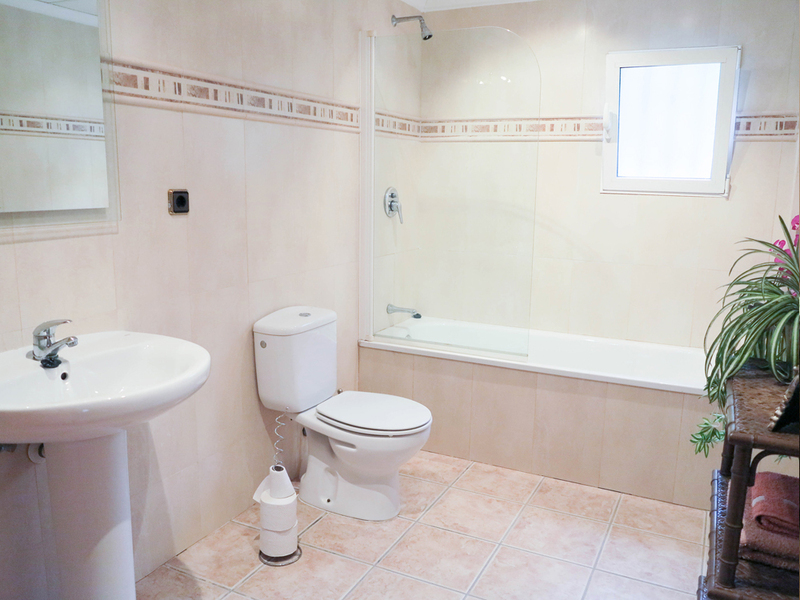 Lots of potential to convert into a comfortable, two bedroom apartment if desired. 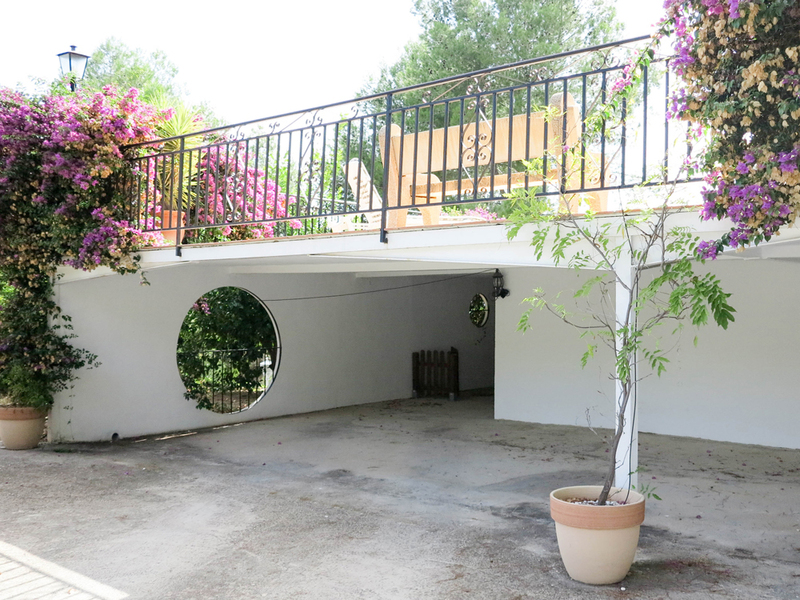 From this courtyard you have the rear access to the long open garage tunnel which continues through to the carport. 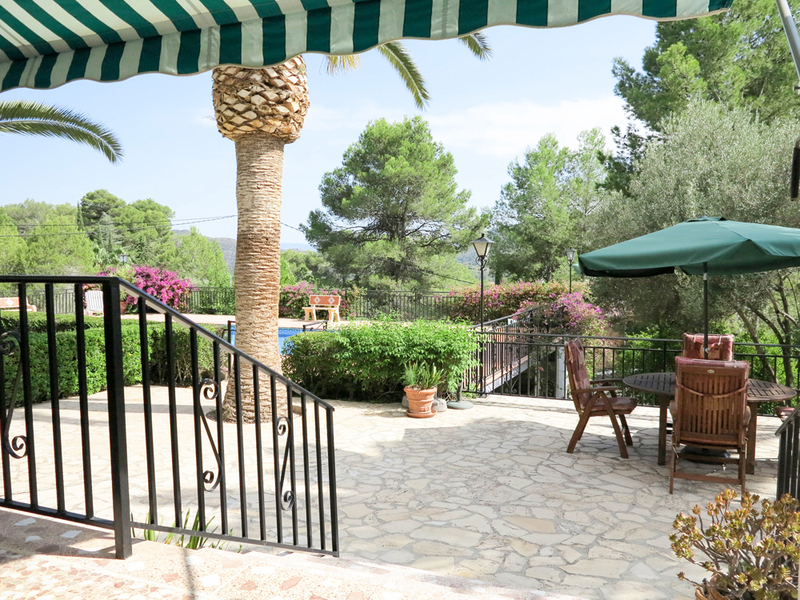 Back up on the main terrace where the villa is located you have landscaped gardens which surround the property. 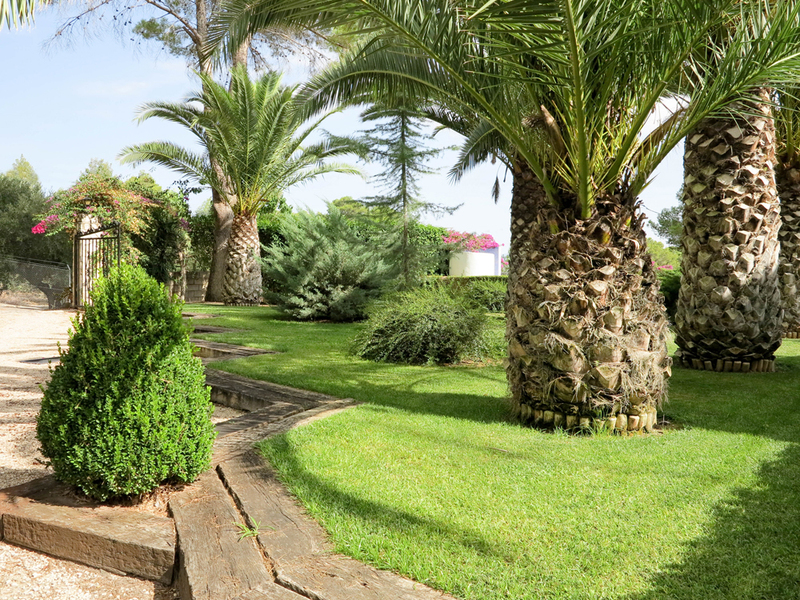 There is a beautiful lawned garden area shared by various trees, including orange, lemon, pomegranate, fig and various palm trees all installed with an automatic irrigation system throughout all of grounds of the gardens and with a sprinkler system for the grass. 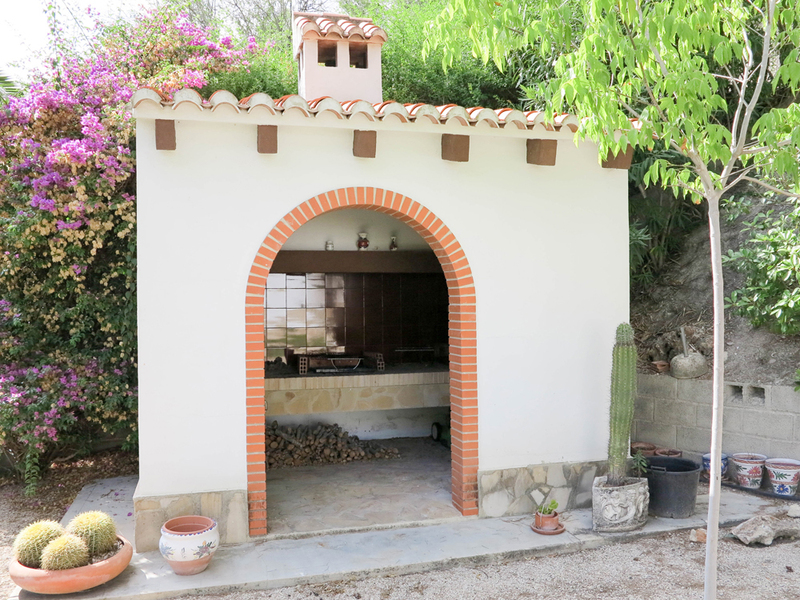 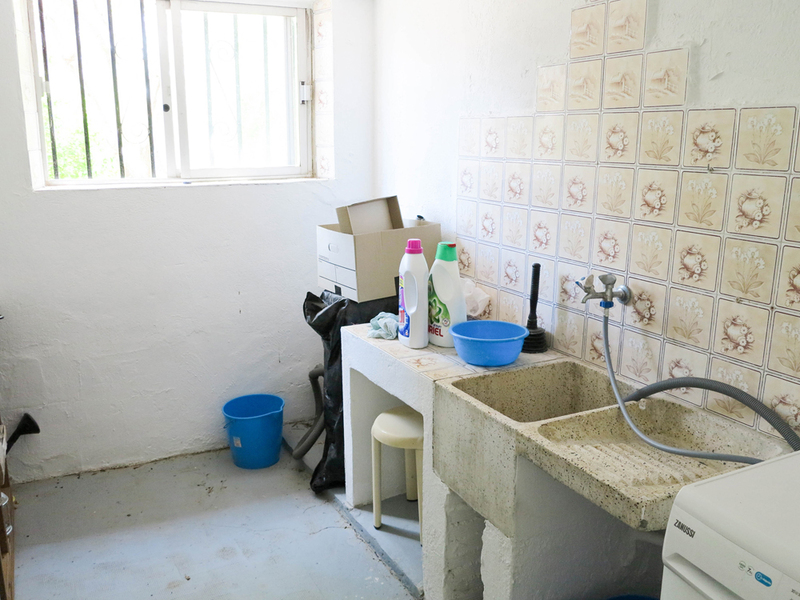 Then you have an outside kitchen/paellero complete with water and electricity connected. 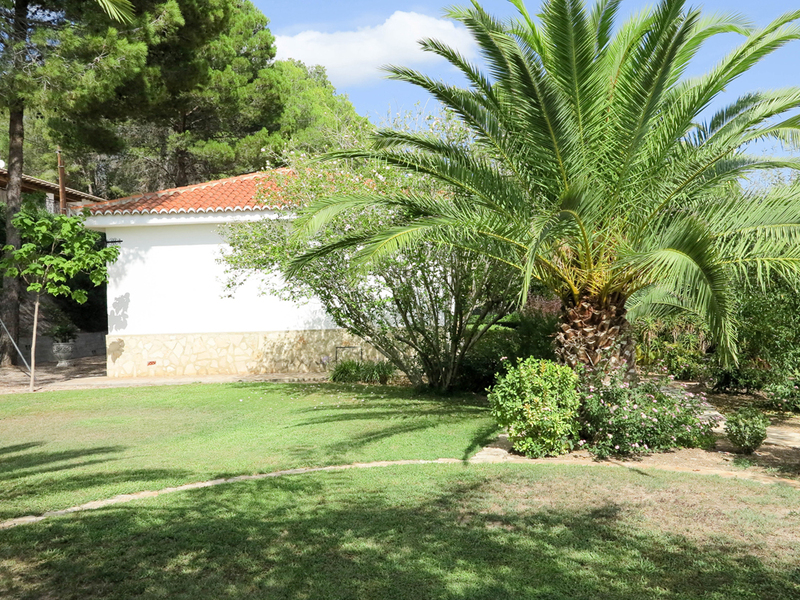 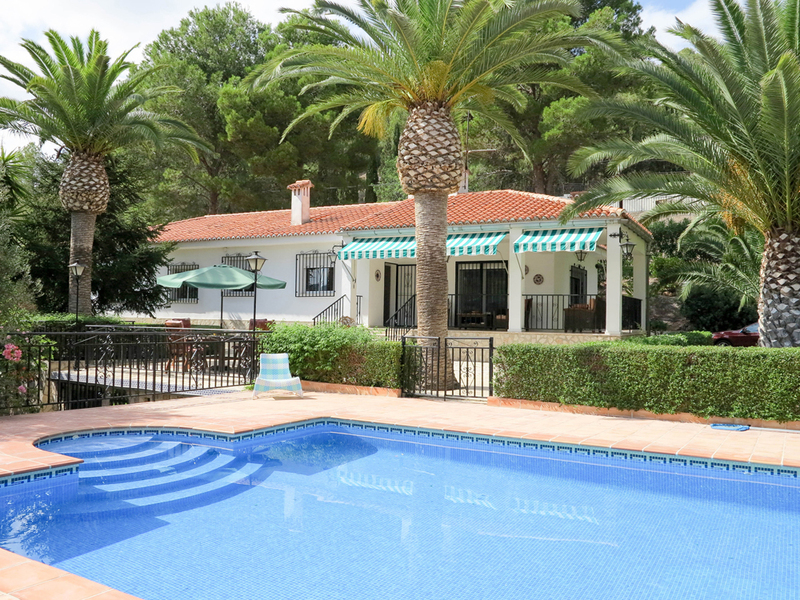 This very desirable property has fixed line telephone and high speed broadband internet immediately available for connection, with lines connected to the neighbouring villas. 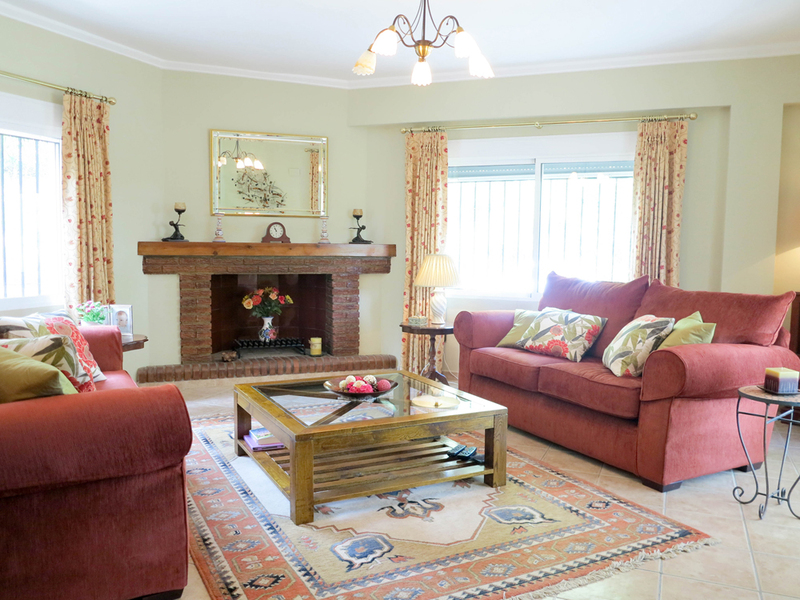 The villa does have Sky satellite television connected and it is being sold partly furnished. 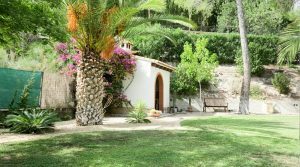 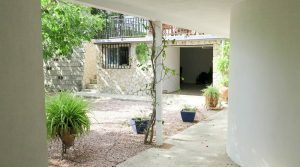 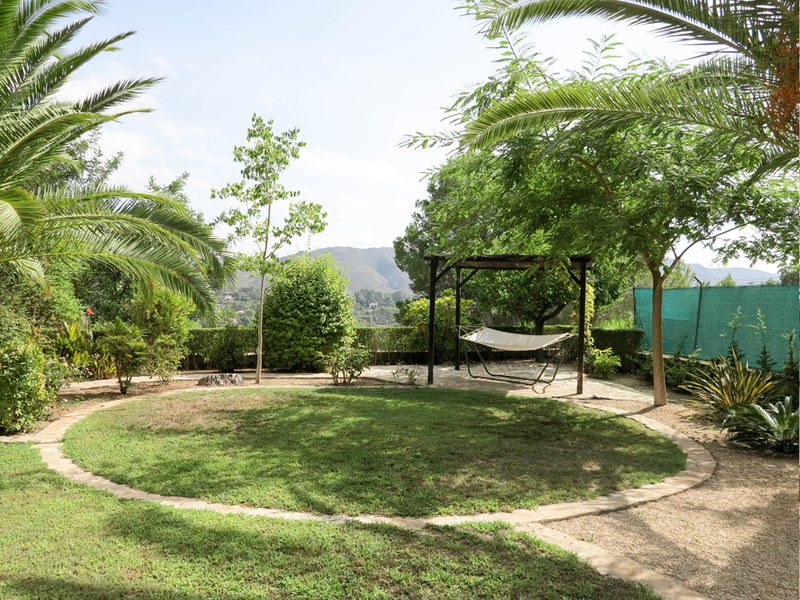 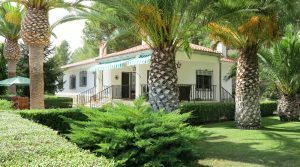 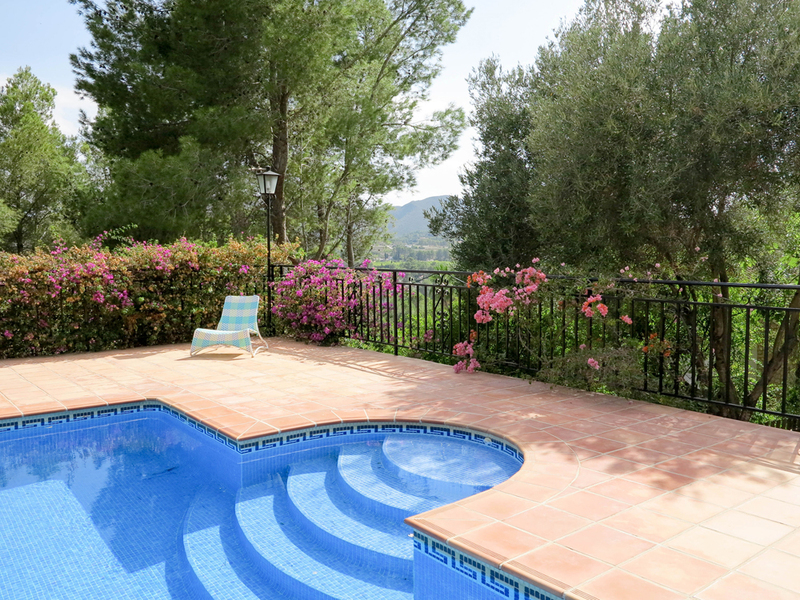 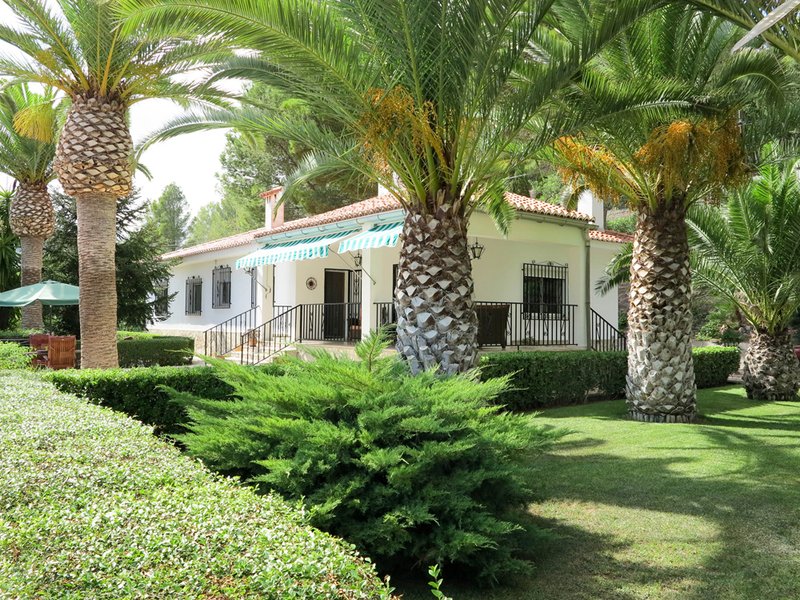 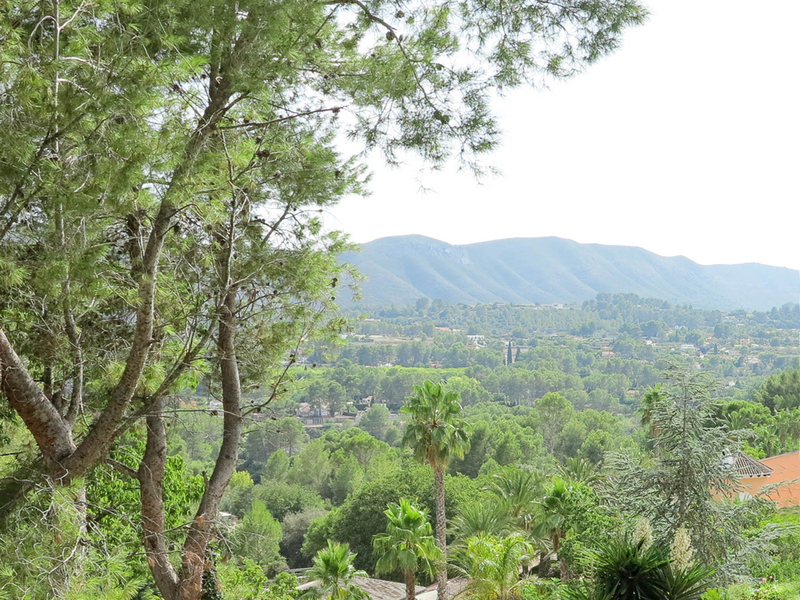 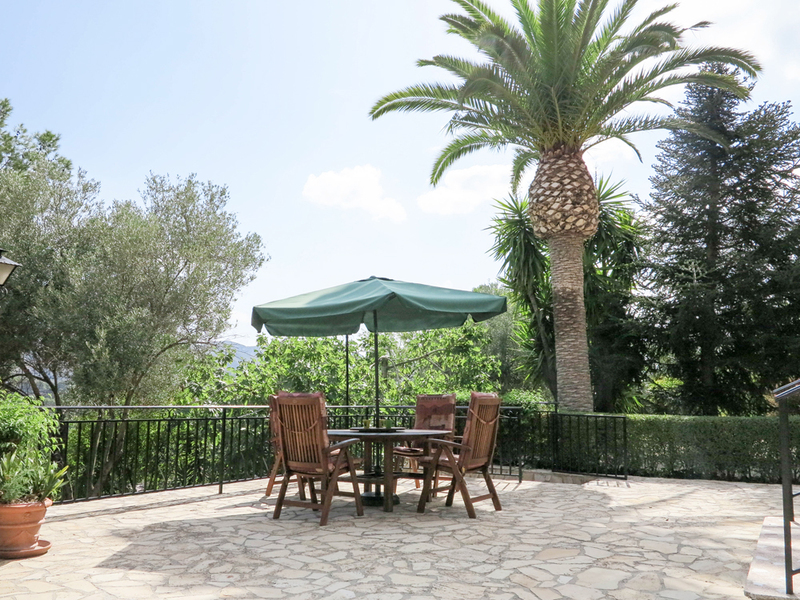 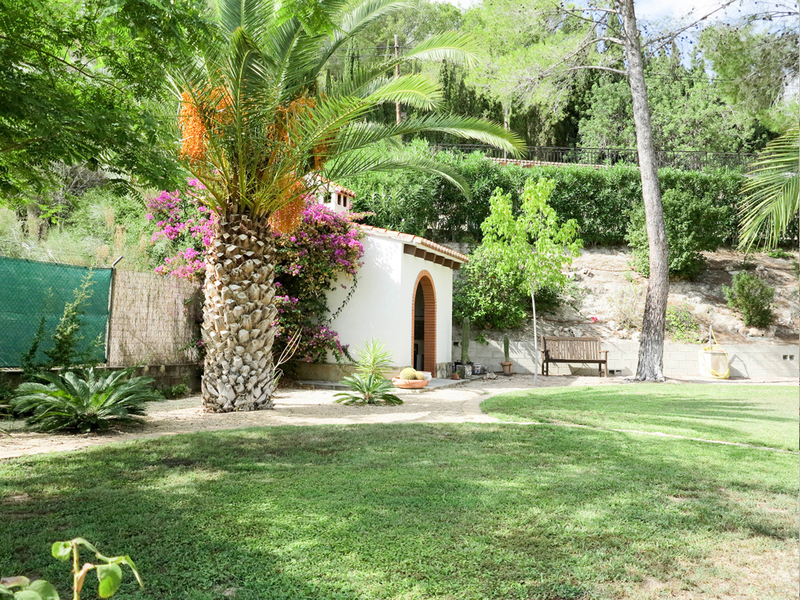 A beautiful villa with wonderful views, located a short distance outside the very desirable city of Xativa.